Reconfirming my initial review about this place. I have no idea what I’m looking at in these photos. 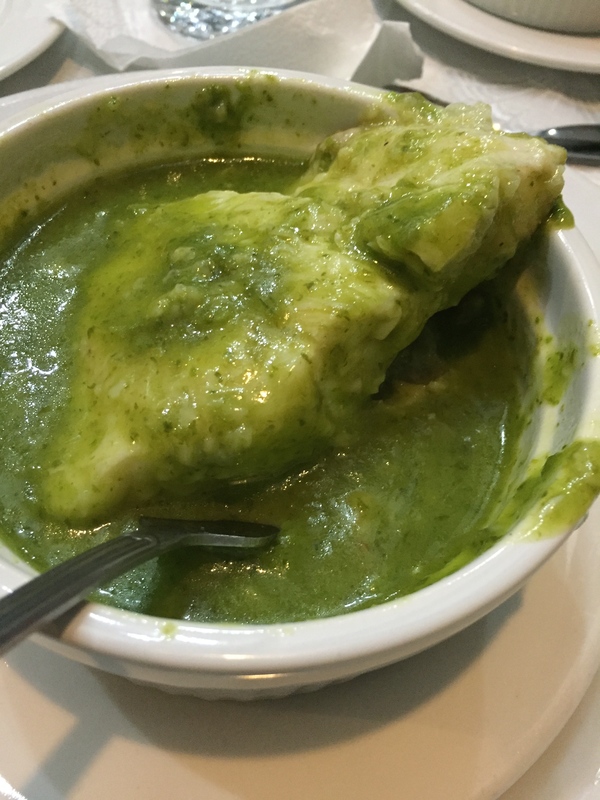 Some sort of green, pesto-like sauce drenching… white asparagus and some fish filet? “Some sort of green, pesto-like sauce drenching… white asparagus and some fish filet” is just about right, except not pesto, just the typical Spanish verde sauce, which is made primarily with parsley and much milder — here, bland.